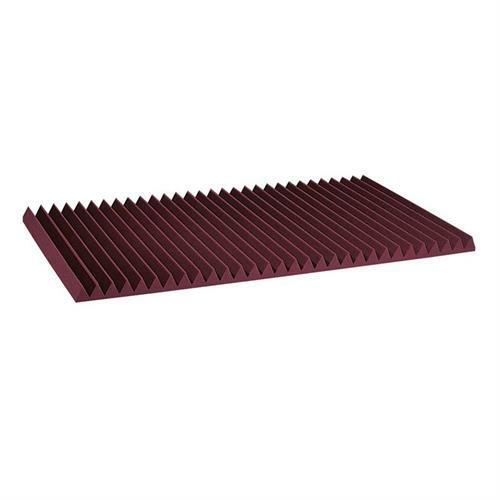 More on the Auralex Acoustics 3 inch Wedge StudioFoam Sound Absorption Panels 2x4 ft (Burgundy Pack of 8) 3SF24BUR below. 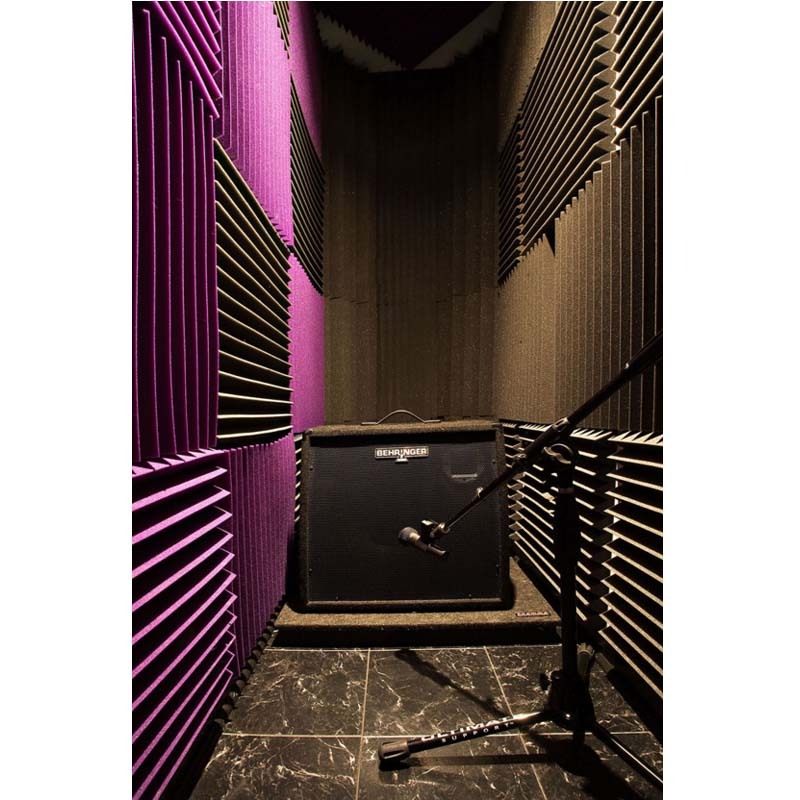 Twice as absorbent at 125Hz as the 2 inch Studiofoam Wedges, the 3 inch panels can even do many of the same things as the 4 inch panels can do (especially when used with LENRD or Venus Bass Traps) and can provide a well-controlled, more accurate sound in any size room. 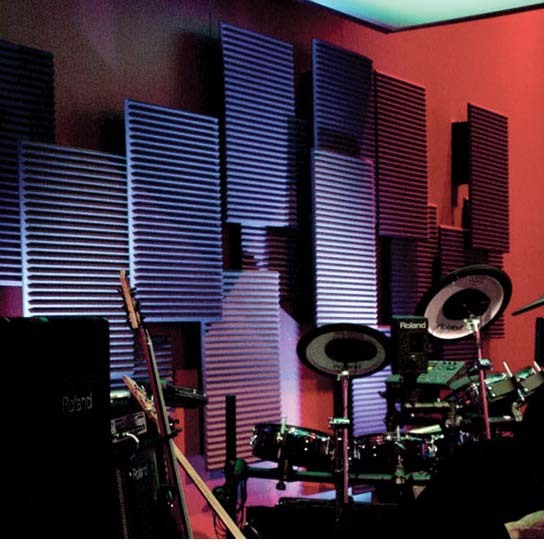 Recommended for rooms with higher SPLs (Sound Pressure Levels) or more low frequencies such as drum or voiceover booths. 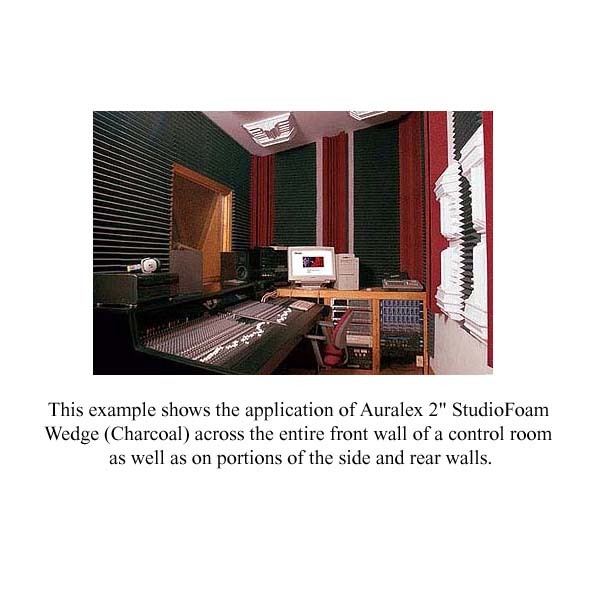 Rooms have more low-end problems than some folks acknowledge, so if you step up from 2 inch to 3 inch panels you will benefit from the extra low-end sound absorption that the 3 inch acoustic Studiofoam Wedges offer. 8 individual panels (measuring 2 ft. x 4 ft. each and 3 inches thick). High-performance sound control, intended for low-frequency sound waves. 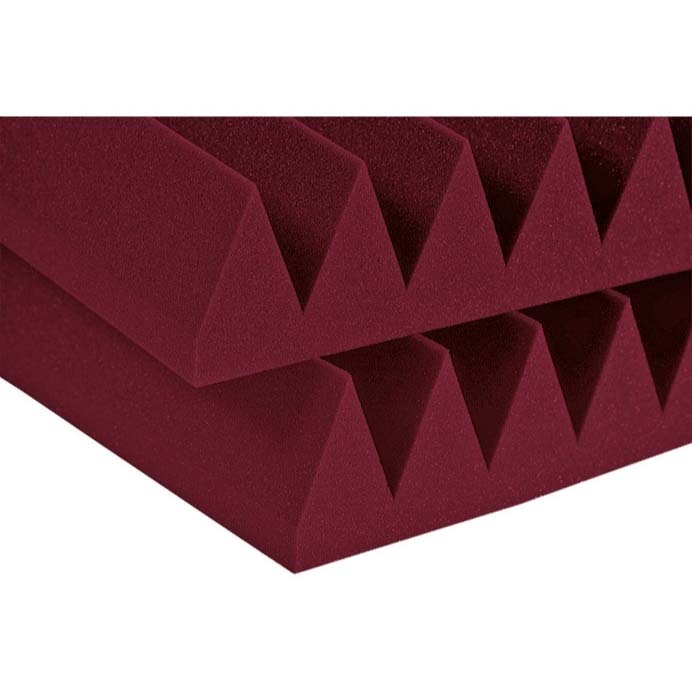 Anechoic wedge cut offers superior sound absorption. Eliminates standing waves and flutter echoes. Decreases slap-back and room ring. Sturdy and durable foam construction that will not crumble with age. Absorbs up to 60% better than other brands. Optional wall or ceiling installation. Studiofoam Wedges are available in four popular thicknesses, 1 inch, 2 inch, 3 inch, and 4 inch. 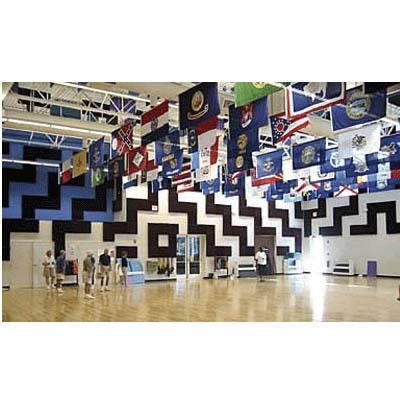 They are also available in 2 panel sizes: 2 x 2 ft. and 2 x 4 ft. 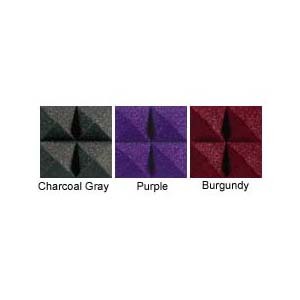 Choose from three colors: Charcoal, Burgundy, or Purple. See related products below for these additional options. Suggested Adhesive: 1 Foamtak canister or 3 Tubetak tubes per box (sold separately). 100 lbs. 64 sq ft.
CLICK HERE to ask a product question or give us a call at 1-800-807-1477.